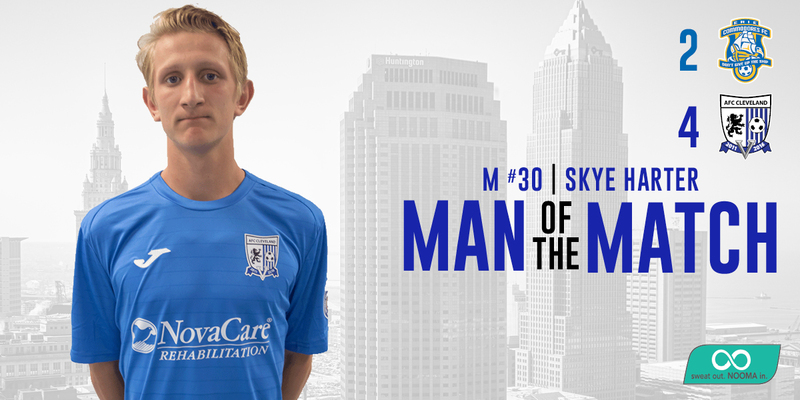 AFC Cleveland midfielder Skye Harter has been selected as the 12th Mitre National Player of the Week for the 2016 NPSL season. Harter scored a hat trick in AFC Cleveland’s 4-2 win over the Erie Commodores. The win helped the Royals remain atop the Great Lakes East Conference. Harter has played a hand in five of Cleveland’s last eight goals in league play, for a total of three goals and two assists. Including friendlies, Harter has tallied three goals and three assists so far this season. The Copley, Ohio native is currently a redshirt freshman with the University of Akron men’s soccer program. Harter was a standout at Copley HS before joining the Zips. He earned First Team All-Ohio honors at Copley after registering 19 goals and 18 assists for a total of 56 points his senior season.